Safety First, also known as Safety 1st, a product line of Dorel Juvenile Group, has made a range of baby products from car seats to baby monitors for several years and are considered by most to be among the best available. 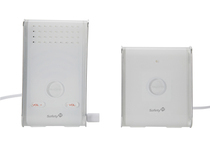 From the simple audio monitor to flashy video systems, Safety First baby monitors offer it all. When looking for a baby monitor, it’s important to think about what features are essential for how you will use it. The monitor will help you keep tabs on your sleeping baby when you aren’t right with her. While not essential, a baby monitor is a nice thing to have, particularly if you have a two-story home or like spend a lot of time outdoors. You can have the comfort of knowing what your child is up to while getting other things done. Below we outline some of the features and benefits of different Safety First baby monitors. Crystal Clear Monitor (Model 49377): This base model offers clear reception and a range of up to 600 ft. While it doesn’t have a lot of fancy options, it gets the job done. It retails for approximately $19.99. 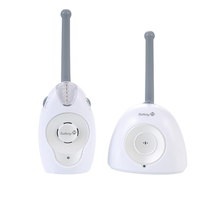 Glow & Go Monitor (Model 08022) and Glow & Go Monitoring System (Model 08023): This portable audio monitor offers a range of 400 ft. It’s compact and offers a digital room thermometer to make sure baby is cozy. The model with a single receiver sells for approximately $24.99 while the monitoring system offers two receivers and retails for $34.99 giving both parents a monitor to listen in on baby. Sound View Monitor (Model 08021): Offers 2 channels to minimize interference with other electronics, and sound clarity from up to 600 feet away. This model retails for approximately $24.99. High-Def Digital Monitor (Model 08024): This Safety First baby monitor offers privacy, and ensures no static or interference while monitoring. It has a range of up to 1,000 ft. It has out of range and low battery indicator lights and a pager if you’ve misplaced your listening unit. This audio monitor sells for approximately $69.99. In-Sight Video Monitor (Model 08043): The In-Sight Video Monitor is an entry-level video monitor. It offers a wall mount option and can pivot to just where you need it and also an auto night sensor to adjust to a dark nursery. It has a 5” black and white screen and you have the option of sound only if you prefer at times. 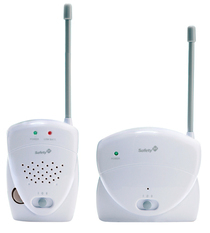 It work s in a 400 ft. range, has 2 channels to minimize interference and retails for approximately $99.99. 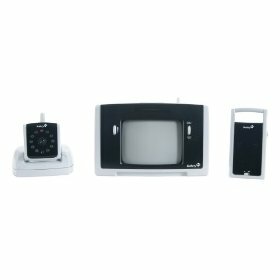 Baby View Video Monitor (Model 08059): This camera can be mounted on the wall or set on a table and the monitor unit has a 5” screen as well as a portable audio parent unit with a belt clip. Working in a 400 ft range, it has sound activated lights as well as low battery and power lights and generally sells for $139.99. 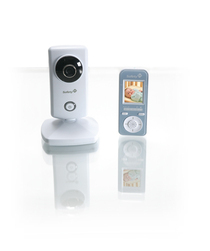 Close View Monitoring System (Model 08020): This monitoring system allows you to attach the camera to your baby’s crib for a close up view. The 5” high-resolution screen also offers a quick check button for on/off viewing and auto-night vision. It operating in a 400 ft. range and sells for approximately $159.99. High-Def Digital Color Video Monitor (Model 08280): This is the Mercedes Benz of baby monitors. You can remotely zoom and pan the camera. It has a 650 ft. range. The digital system is private with no static or interference. The small, high definition screen on the parent unit offers a clear view and you can have the convenience of clipping it on your belt. It’s also rechargeable. If you have more than one child to keep an eye on, you can even order extra cameras to watch them all. This model typically sells for $259.99. No matter which Safety First Baby Monitor you choose, you can rest assured that you are investing in a high quality product that offers peace of mind when you are letting your baby get a little rest.